And she wasn’t all black. Nor was she a bat, or a pumpkin. 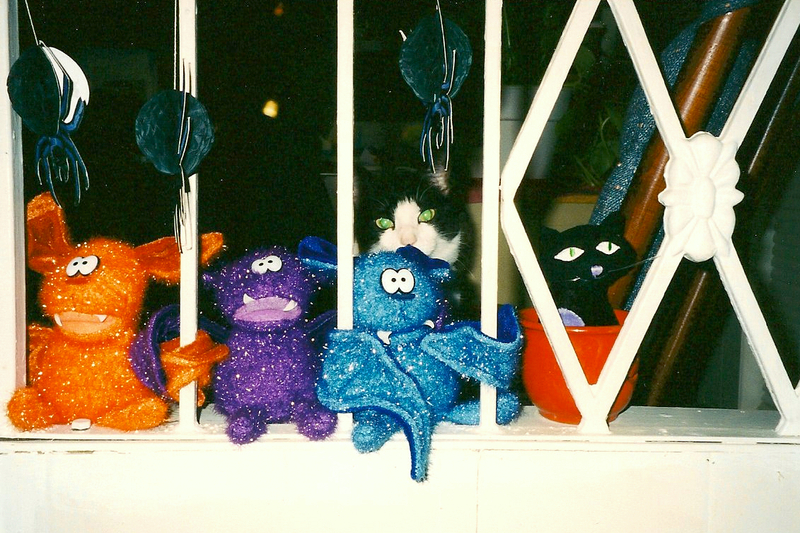 But oh, how she loved Halloween as she took her place amongst the spooktacular-ness displayed once a year. Happy WW to all the scary critters getting ready for Halloween! How cute! I love your display, and your kitty fits right in with her green eyes. These scary critters are just too cute! Cute! The kitty wants to join in the fun! Very cute…I almost didn’t see those glowing green eyes back there. Missing my kitty now. Wow! I almost missed her! I thought you were referring to the stuffed kitty! LOL Love the display! She is the cutest of them all…in a very spooky fun way.